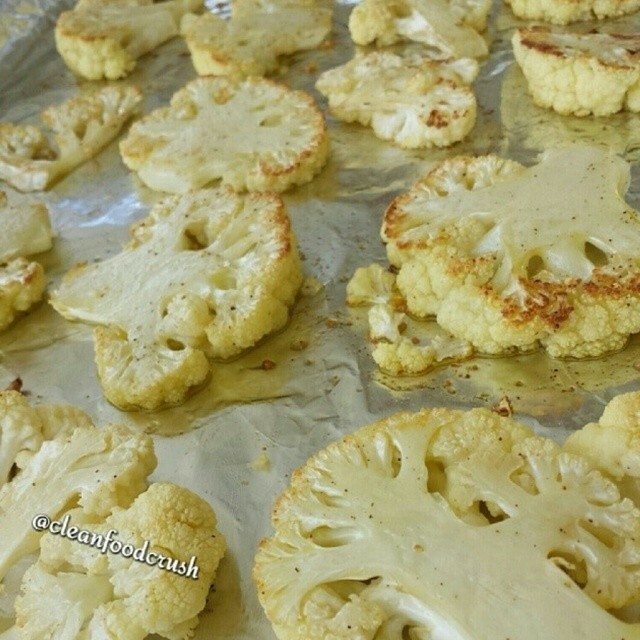 These are such a fun way to eat cauliflower! Almost more of a “French fry” side dish! My kids like to dip them into organic ketchup. 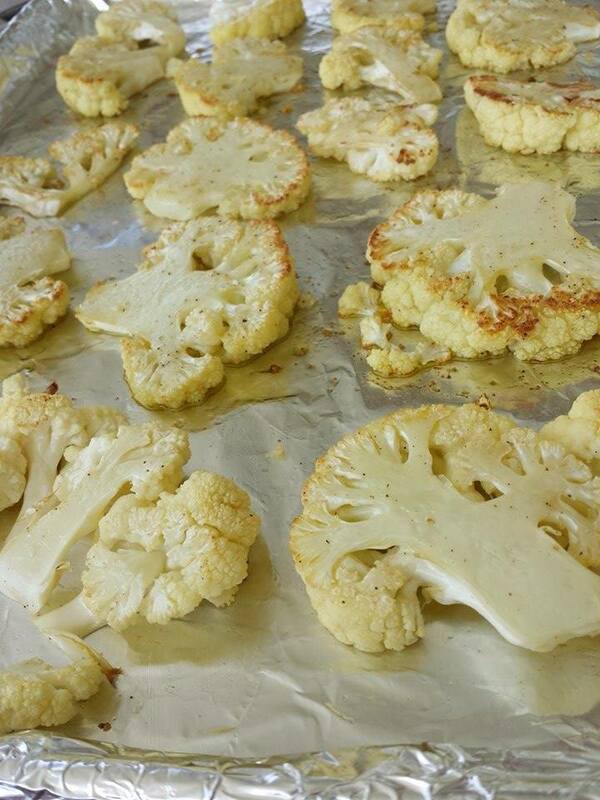 Cover a sheet pan with foil or parchment for easy cleanup. Whisk desired seasonings into the oil. I used just the sea salt and fresh ground pepper this time. Consider cumin or garlic, when you need a flavor change. Roast in your preheated 400 degree oven on a flat sheet pan for about 10 minutes per side. 20-22 minutes total, flipping once. They are great golden brown, and a little crispy!